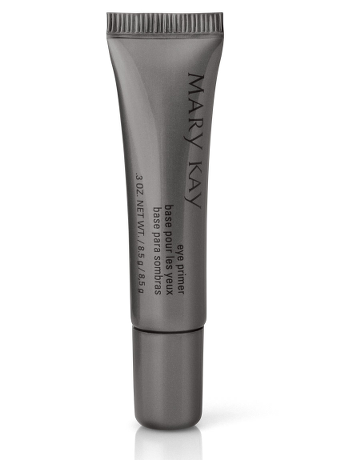 ​Mary Kay® Eye Primer is a waterproof formula that glides on smoothly to extend the wear of eye color and prevent it from creasing and smudging. Apply a small amount to the eyelid prior to applying eye color. Blend gently using your fingertip. Talc has many benefits. It acts as an anti-caking agent that keeps loose powders free-flowing and helps pressed powders retain good application. It’s also an aesthetics enhancer which improves the application characteristics and texture of a product. Additionally, it’s an opacifier, increasing coverage and reducing transparency of colors. Some may provide a pearly or matte appearance (e.g., eye colors) or add coverage (e.g., concealers). Talc also is an oil absorber which absorbs excess oils that may be present. Retinyl Palmitate (Vitamin A Derivative) is a conditioner that improves the appearance of skin (e.g., skin looks softer, smoother ). Oils and moisture from the skin and from certain products can cause eye color to collect in the crease of the eyelid and smudge and fade. Priming the surface of the eyelid creates a base for the eye colors, increasing their opacity and reducing their ability to move to the crease of the lid or smudge.